First of all, Jen Turano's book covers are some of my most favorite ever, consistently they are amazing! Second, her stories are amazing as well, consistently! Isadora has lived a life of luxury and is a true heiress in New York. However, the man pursuing her is much to be desired and a plan is cooked up to get her out of the city and away from him and this unfavorable match. Isadora takes on the role of a housekeeper, far from her former life and of course results in humorous moments, moments of relying on God and really learning about one's self, not to mention the possibility of true love. I absolutely loved this storyline and the main characters, Isadora and Ian. They were both fun to watch as they interacted with each other and as feelings changed. Jen has a true talent for creating likeable characters and really bringing them to life for the reader. The humor that is mixed into the storylines make the book so entertaining to read, and I was not ready for the book to be done once I finished it! I highly recommend this book, it is one of Jen's very best! Colleen Coble is a must-read author for me, and her books just keep on getting better and better! I liked Bailey from the very first page as she was caring for her patient, her kindness and her true heart just shone through right from the start. As her story comes out in pieces, from meeting Kyle and their interaction and then the murder of her mother, my heart hurt for Bailey. Bailey is faced with all of this suddenly and she finds herself not even knowing what is true about her past, her life, herself. Lavender Tides is the place she goes to think, to try to uncover the secrets and find out the truth, but she finds even more than what she went for. This is a novel that will keep you turning the pages as you try to uncover the truth and at the same time pray that Bailey is safe and everything will turn out fine. I could not read fast enough as I just wanted to know more and more of the story as I was reading. The storyline flows nicely with twists and turns and I love the romance and suspense that are interwoven together. The cover is absolutely gorgeous as well and that along with the descriptive writing had me right there in Washington with the characters. I highly recommend this book and this series by Colleen, you will not be disappointed! He who puts his trust in God will possess the land and inherit the blessings. Scripture tells a husband to love his wife, but what if she loves the memory of a dead man? Lured to the Texas frontier by more free land than they could ever buy, four families struggle to carve a home and a living out of the wilderness. And though love isn’t always easy coming, like bees to sweet flowers, a neighbor and his partner swoop in hoping to steal the hearts of the clan’s two young beauties. Will their infants spoil the ointment? Wild animals, Indians on the warpath, and living hand-to-mouth never make it easy, but my oh my—Texas my Texas! What a land! It’s always good to give thanks. And I’m thankful for you! I appreciate you stopping by my awesome Celebrate Lit Blog Tour! I’m thankful for each of the bloggers who signed up to participate in the tour for my January release Texas My Texas, book two in my new Cross Timbers Romance Family Saga series! And I’m so thankful the Lord is blessing Celebrate Lit as Sandy Barela blesses so many Christian authors! She is deserving of all God’s best! In Book One, Gone to Texas, I got seventeen souls to their new home in the Republic. Texas My Texas has all the same pioneers with a few new added as they establish hearth and home in the wooly, untamed Trinity River Bottoms of North Central Texas—which later in history, becomes the Dallas-Fort Worth Metroplex. They’re settling in what now is Irving—my home for fifty-plus years. Only a few months has passed for my characters, Book One ends in November, Book Two picks up in March, 1841. In real life, it’s been just that long since Book One launched, too! It debuted in September and Book Two launching now is also four months! Isn’t that fun? Originally, I’d planned a different January title but pushed it back a couple of months to release Texas My Texas on the heels of Gone to Texas. In this new story, the two young women—Gabrielle and Isabel Harrell—elicit the attention of suiters who come calling even in the wild west territory. 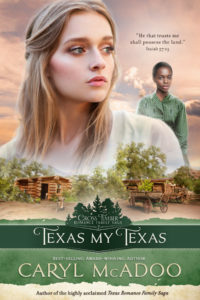 Thomas Baldwin (a neighbor introduced in Gone To Texas) has an eye for Gabrielle and uses many excuses to visit, including taking his friend Monroe Humble to the clan’s little settlement to meet the lovey, hardworking Isabel. But Gabrielle is pining hard for her love back home and deals with pretty severe melancholy—what they called depression back in those days. In Texas My Texas, readers will spend time with the characters they came to love in Gone To Texas. As always, I pray my story gives God glory! And that readers will enjoy the new even better than the old! BLESSINGS! "Texas My Texas" is such a great read, a true historical novel. I love reading stories that depict frontier life and the trials and struggles faced, but also the rewards and joy that can come as well. This is book #2 in the series and I highly recommend reading it in order as you will spend time with some of the same characters and be introduced to new ones; personally I love this style of writing with series as I am never ready to say goodbye to characters at the end of the book. Gabrielle and Isabel are both characters that were easy to like and root for throughout the story. The interactions with potential suitors were some of my favorite interactions in the book. I highly recommend this series and am looking forward to book #3 coming out! 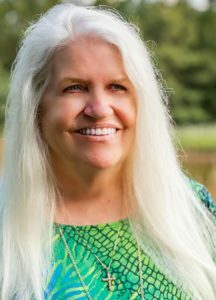 "Teal Paisley Tights," written by Barbara Brutt, is the start of hopefully many, many books from this author! This was such a fun book to read and at the same time so relatable! Jadyn is living life on her own following graduation and hoping to pursue her dreams and work in her chosen field, but things so not always go on plan, or ever that smoothly for anyone in all honesty. Jadyn finds herself working for a demanding and shall we say a boring boss, seriously who doesn't love fun, patterned tights?! This is not the job of her dreams as she is a true artist at heart, but she needs this job to pay her bills, and then wait she cannot pay all of her bills even with this job and has to move in with her sister. As Jadyn struggles to figure out life, she finds herself in the midst of a love triangle as well adding romance to her life and even more decisions to make. This is such a great book, I can't say that enough! The storyline flows so nicely and I was immediately hooked on the story on the very first page, I'm all about patterned tights and coffee! Barbara has a talent for creating characters whom the reader can relate with and storylines that are just like real life. This is a great story of finding one's self, pursuing dreams and balancing out life's responsibilities and demands along with living your life. 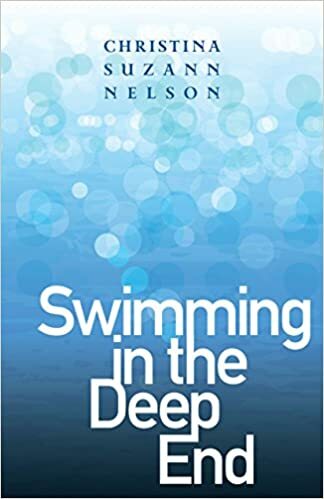 "Swimming in the Deep End" is such a moving story of lives that intersect and the grace that can be shown to ourselves and each other and the power of that. positive or negative for ourselves and for others around us. planned, but nevertheless a human being created by God. unable to conceive a child and longs for one of her own. book as it is an emotional read that will have you crying with the characters, cheering for the characters and left feeling hopeful and knowing that God is here every step of the way. Laura Frantz writes such beautiful historical fiction stories and her latest, "A Bound Heart," is a beautiful story and such a beautiful cover to the book as well! This story begins in Scotland, and it is vividly described and the reader is transported there and back in time to the late 1700s. Magnus and Lark have grown up here on the Isle of Kerrera; however now they are both adults and hold various roles. When they both get caught up in accusations following the death of Magnus' wife, life drastically changes as they are sold as indentured servants and are starting over a new life in the colony of Virginia. Laura does a fantastic job with creating such vivid pictures of the hardships these characters faced. It was so easy to become lost in the story while reading and to really "see" the story in my mind. The historical details based upon her research really shines through as well and I love how real everything seems. "A Bound Heart" is a sweet story filled with hardships, loss, courage and hope; this is a must read for historical fiction fans! "We Hope for Better Things" is an excellent debut novel from Erin Bartels and she is going to be an author to follow! Every generation in every time period struggles with highs and lows and always the wish is for a better live for those to follow after. This book is a snapshot of this very sentiment. Racism and political issues, among numerous other issues, are prominent in today's society, and have been issues in past time periods as well. The reader meets Elizabeth, a journalist, who agrees to meet with an individual thinking she is getting a story. However, she is unprepared for this meeting as she is given photographs that belong to an estranged relative. Elizabeth finds herself on a journey to meet a relative and also investigating the riots that took place so many years ago, but their impact is still so strong. As the story continues, the reader is introduced to more characters and taken on a journey from the Civil War, to the 1960's, to present day exploring the injustice and trials faced by these individuals. This book is very moving, and filled with historical detail from the various time periods. At the same time, the theme of forgiveness is woven throughout out and the impact that choices have not only on ourselves, but on others. This is a great novel and I am excited to see what Erin will write next! all because of the mysterious pink notes she's been receiving. for Toni's employees as well as her own happiness. chance at happiness with the man of her dreams? in a warm, fuzzy Christmas ending? tied together! Well done, Carole. Highly Sensitive and The Sassy Pants Series. 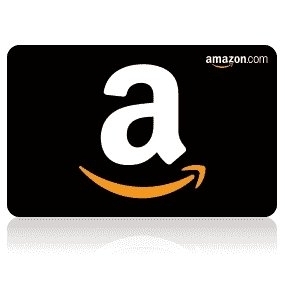 who is easy to connect with and one whom you want to root for right off from the very start. and who doesn't love a good romance and mystery any time of the year? !